A few years ago, credibility and fear were major roadblocks for companies and entrepreneurs looking to establish themselves online. Times have changed for the best as more consumers feel comfortable conducting business over the internet and the e-commerce revolution is in full swing. That does not give you any room to coast. You must still take all the necessary steps to ensure that your website appeals to potential customers through professionalism and credibility. The tips in this article will help you capitalize on this surging market and avoid the mistakes made by so may others. There are many ways to establish credibility and trust within your audience. You can start by making your contact information easily accessible as this lets customers know they can get in touch with you if need be. Testimonials can be effective, but you should be careful when using them. A testimonial could end up working to your disadvantage by prompting skepticism in the visitor, especially if these references appear too obscure with no contact info or other form of validation. The overall look of your site will determine its credibility so do not hesitate to check out some of the major e-commerce players and even the competition to find a good working model. Before starting your e-commerce venture, you should know that in order to accept credit cards, which is the preferred method of payment among consumers, your site will require a few specific elements. This includes a shopping cart program, payment gateway, and possiby a merchant account. All-in-one solutions do exist on the market, but these systems are often far too complex and geared more towards businesses that do not generate a lot of monthly sales. While there is nothing wrong starting out with a popular service such as Payal or AlertPay, you should not view them as long-term options. 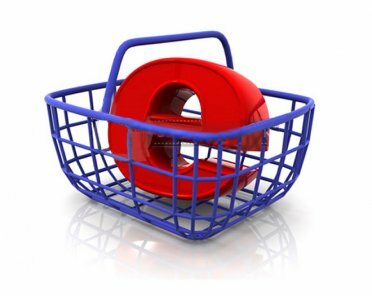 If your site becomes a success fast, you will definitely need to upgrade your e-commerce system in a jiffy. Even if you have never seen the movie, you are probably familiar with Kevin Costner’s famous quote from the motion picture Field of Dreams: “If you build it, they will come.” While very inspiring, this simply is not the case when it comes to obtaining success with an e-commerce site. In fact, if you build it, your site will just sit there lonely unless you actively market it to the right audience. Therefore, perhaps the correct saying for the online business world would be: “If you promote it, they will come.” Evaluate all the available options to find out what methods are most effective for drawing potential customers to your site. There is no guarantee that you will become a millionaire by selling items online. You could actually end up losing money in the beginning and find yourself forced to ride a bumpy learning curve. On the other hand, you will never know how much money you could make if you do not invest the effort in turning your e-commerce site into a success.